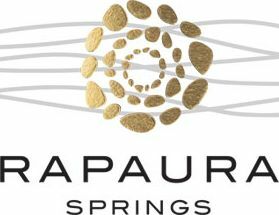 The Rapaura Springs Reserve Sauvignon Blanc is a selection of the best parcels from the harvest, resulting in a sub-regional blend of wines. It has been made to showcase the diversity of the flavours produced in Marlborough wine. Rapaura is home to generous ripe fruity flavours, lower and upper Wairau to pungent exotic fruits and passionfruit, the Waihopai adds a flinty minerality to the mix. The Rapaura Springs Reserve Sauvignon Blanc is made from the best parcels of fruit from the harvest. The vineyards had a nice, balanced, crop at harvest time and the fruit was ripe and showed excellent varietal intensity. Once pressed, the juice was cool fermented in stainless steel to retain the clean, crisp fruit flavours from the vineyard. Our Reserve Sauvignon Blanc beautifully captures the diversity of flavours found within the Marlborough sub-regions. The Rapaura sub-region brings generous ripe fruit flavours, the Wairau Valley the passionfruit, the Waihopai adds a flinty or mineral element and the Awatere Valley provides the luscious herbal and gooseberry notes. The 2014 vintage combined a long run of ideal growing conditions with some late season rain, although harvesting was well-advanced by the time the rains arrived. The Marlborough regions crop was higher than previous years however our Rapaura Springs fruit intake was lighter as a result of stringent quality calls and crop management efforts. Our Sauvignon Blanc and Pinot Noir wines are showing lovely varietal character and intensity. A premium selection, our Reserve Sauvignon Blanc exhibits an array of lively aromas such as guava, feijoa, kaffir limes. Pungent passionfruit and tropical fruit notes are underscored by a jalapeño and fresh herbal element. On the palate our Sauvignon Blanc is layered with concentrated flavours, shows great palate weight and has an attractive, flinty, mineral aspect. The finish is persistent, flavourful and framed by a beautiful, crisp, and mouth-watering acidity. This wine is versatile and would pair well to a wide range of white meat and seafood dishes. Try with your favourite shellfish meal, creamy rock oysters or a Thai Green curry.